Philadelphia developer Bart Blatstein swept into Atlantic City on Wednesday and made a bold promise: His newly redone waterfront pier complex will soon be the city's top tourist attraction. Blatstein was deadly serious about his plan to convert the former Pier Shops into a music-themed entertainment center called "The Playground." "This plan can't fail," he said. "It won't fail. I've never failed in my career. I've never picked an area that failed to turn around. This will be the greatest success of my career." His Tower Investments has done numerous retail, entertainment and mixed use projects in Philadelphia. He paid $2.7 million for the complex that cost $200 million to build. Its first floor will be modeled on Nashville's Music Row, Beale Street in Memphis and 6th Street in Austin, Texas. To be named "T Street," It will include six live music venues. Its decorative water fountains will be ripped out and a performance venue called 39N will accommodate 2,000 fans. All told, there will be 14 music venues. A large beachfront concert venue, a bowling alley, a sports bar and retail shops are included, as well as space for private event rentals. Blatstein and his development partner, architect Paul Steelman, bought the complex last fall but ran into legal trouble with Caesars Entertainment, which owned the water rights underneath the pier. A deal involving back rent and future considerations was hammered out last month, allowing the project to go forward. Steelman said its first phase should be ready by July 4th weekend, with the rest ready around Christmas. "You need something else besides gambling," he said. "This is the something else. This is a city that developed on the basis of entertainment from the 1880s through the casino revival. It's lost that entertainment feel, the 500 Club, Frank Sinatra playing all night long. We need to get back to that vibe and this building is perfect for it." The complex also will feature an over-21, elevated pool high above the ocean. Many existing high-end retail shops will be retained at the new complex. The fourth floor will be renovated for expanded private event rental space, including previously unused exterior space. Blatstein said the redevelopment will add 500 new jobs to the 400 existing jobs at the pier. Mayor Don Guardian said the development is part of his city's ongoing transformation. "We know we don't want to be just a casino town," said Guardian, whose city lost four of its 12 casinos last year. "We want to be part of the next phase." Blatstein had another bold prediction. 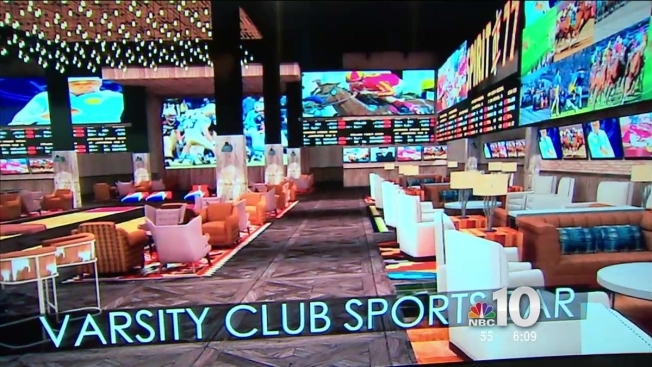 "I promise you this will become the Number One tourist attraction in Atlantic City," he said. "I guarantee it."